Turntable System Type 9640 consists of Controllable Turntable Type 5960, Turntable Controller Type 5997 and Remote Control WB 1254. 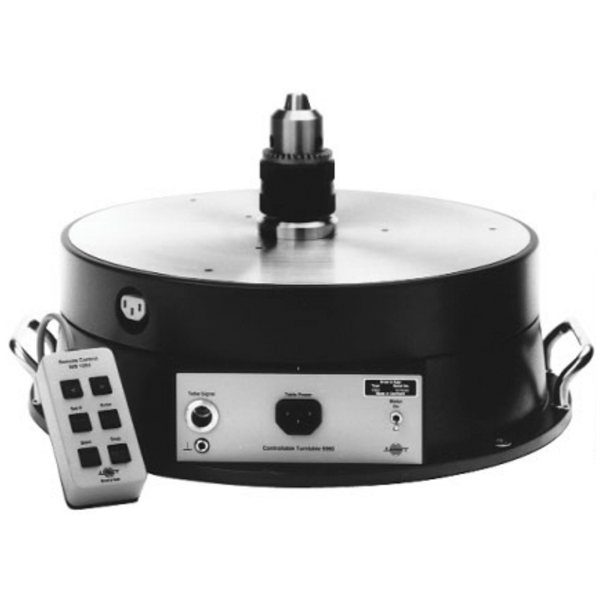 The Turntable System is designed to rotate a test object, such as a loudspeaker, microphone, or hydrophone, for measurement of directional response. Used in combination with a personal computer, Type 9640 becomes part of a system capable of automatically recording the directional characteristics of many different test objects.